In working with athletes I’ve found that it’s really important to be proactive in preventing injuries and findings ways to enhance stability, strength and speed. One of the best ways is to analyze functional movements. 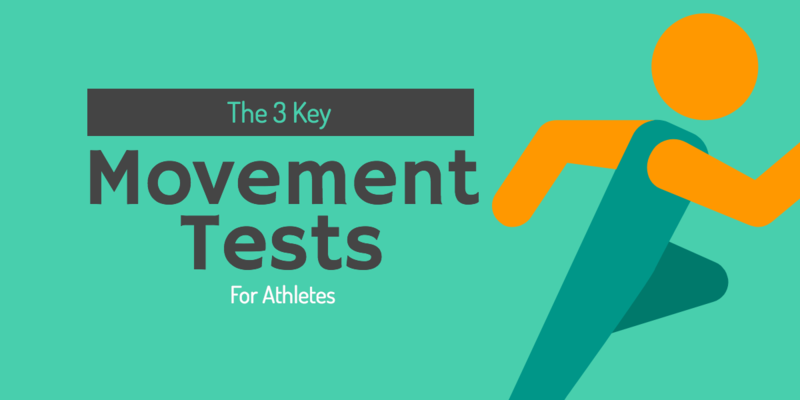 Below you’ll find 3 key functional movement tests that are important to do for sports that require both upper and lower body mobility and strength. The push-up is a great screening test. By pushing up from the floor I can get a lot of great information about your movement strategies and trunk stability. Check out the video to see two examples of this test done poorly and the correct way to do a pushup from the floor. 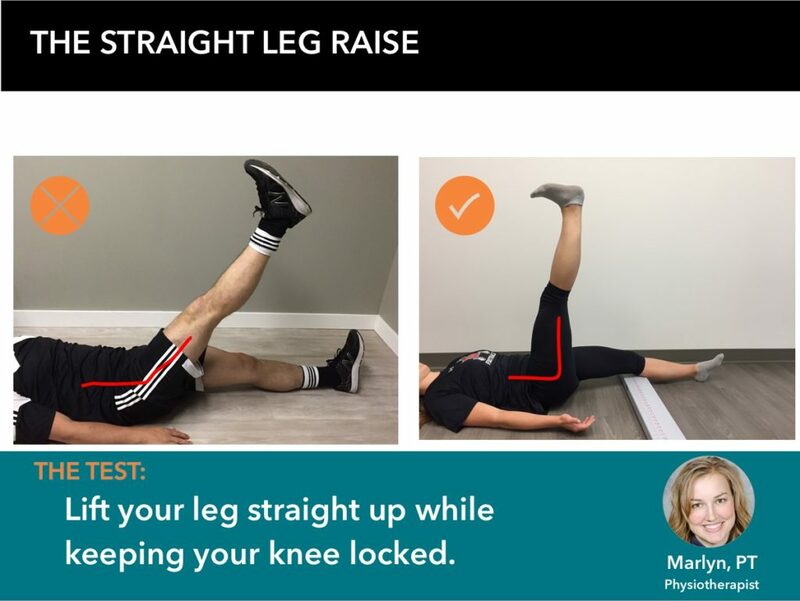 This is a great test to see how far you can lift one leg up while laying on the floor and comparing movement of your right and left sides. More than just touching your toes for assessing flexibility, this test gives us a window into how well you can actively stretch your hamstrings while maintaining continuous core stability. The squat is more complicated than a lot of people think. It requires excellent ankle, knee and hip mobility. However, it also requires shoulder and back mobility in order to keep your spine straight and tall. 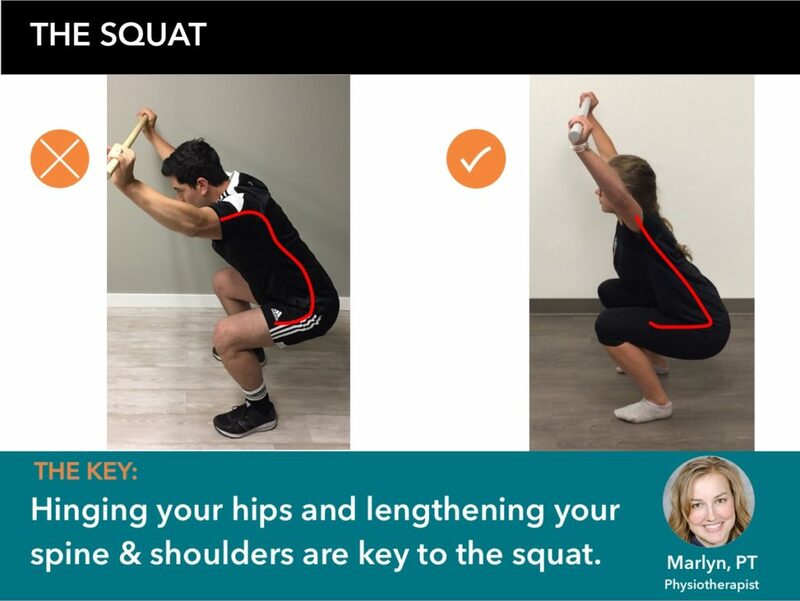 In the image below you can see the difference between a poor squat and a good squat and how critical the entire chain of movement is. If you’d like to get a comprehensive movement screen assessment completed, I’d love to hear from you! Just give our clinic a call to get more details and book an assessment at 780-952-4323. 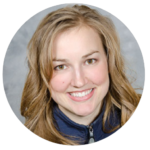 Marlyn graduated with a Master of Physical Therapy degree from the University of Saskatchewan in 2010. She has since completed her Level 2 FMS (Functional Movement Systems) and Level 1 SFMA (Selective Functional Movement Assessment), which are focused at assessing and correcting an individual’s fundamental movement patterns. Marlyn is also an ART (Active Release Techniques) provider. Marlyn has a special interest in sports injury prevention and management, as well as performance enhancement. Much of her interest in sports comes from having a sport background. Marlyn has played high school volleyball, winning two provincial championships, and was a member of the University of Alberta rowing team. She was also a member of the Alberta rowing team at the Canada Summer Games in 2005 and has completed 4 marathons.